Agriculture is the largest driver of deforestation globally. The report warns that misguided government subsidies for agriculture and other activities, valued at $200 billion, undermine many efforts to protect forests. Its authors recommend improved identification of deforestation drivers, changes in policy, and greater cooperation between government departments. Lurking in the law books and policy annals of many countries around the world, subsidies aimed at helping farmers produce food more efficiently often end up leading to the loss of forests, according to a report released by the United Nations earlier this month. “Agriculture,” said the report’s author, Gabrielle Kissinger, “is the largest driver of forest clearing worldwide,” responsible for perhaps 80 percent of deforestation. “When we look to the growing agricultural production footprint in the future, based on the need to feed a growing population with increased per capita consumption, the picture is not good for forests,” added Kissinger, founder and director of Lexeme Consulting in Vancouver. The policy brief, published by an initiative that brings together the UN’s environment, agriculture and development agencies, warns that misguided government subsidies for agriculture and other activities, valued at $200 billion, undermine many efforts to protect forests. Rather than encouraging bumper yields and improving farmers’ efficiency, tax concessions, in-kind subsidies that allow privileged access to land, and subsidized fertilizer and weed killer often miss the mark, Kissinger found. Instead, they end up underwriting the expansion of agriculture into standing forests. 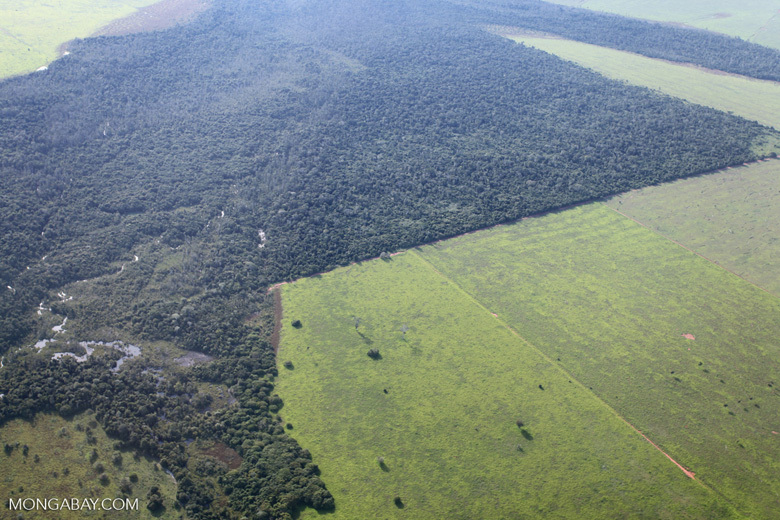 Patchwork of legal forest reserves, pasture, and soy farms in the Brazilian Amazon. Photo by Rhett A. Butler. To better understand how governments should overhaul these types of policies, Kissinger searched for success stories in more than a dozen countries, looking at different types of agriculture and food production in developing, emerging, and developed economies. This impact on forests is particularly relevant now, as many developing countries prepare to participate in REDD+, which is short for “reducing emissions from deforestation and forest degradation.” Under this program, wealthy nations agree to funnel money into forest-containing (and often developing) countries’ coffers in return for protecting their forests and the carbon they hold. But experts are concerned that subsidies and incentive programs could hamstring the potential success of REDD+ and similar programs designed to conserve the world’s remaining forests. 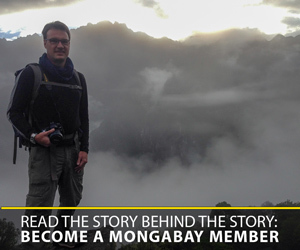 “Government policies in consumer as well as producer countries are major drivers of deforestation,” said Saskia Ozinga, campaign coordinator and co-founder of the NGO FERN, in an email to mongbay.com. “As this report shows, without these policies changing, initiatives like REDD will not succeed,” added Ozinga, who was not involved in writing the report. Stopping “net deforestation” by the year 2020 has also become an important benchmark to groups like the Consumer Goods Forum, representing 400 manufacturing companies including giants such as Unilever and Nestle that collectively sell 2.5 billion euros ($2.8 trillion) worth of products every year. 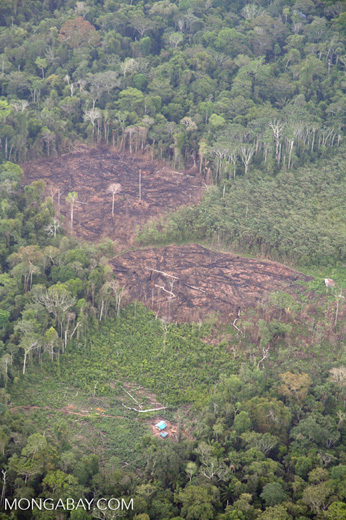 Blocks of rainforest razed for slash-and-burn agriculture in the Peruvian Amazon. Photo by Rhett A. Butler. “Actually achieving that goal requires significant change in business-as-usual practices from farmers on the ground,” Kissinger said. The forum’s work with governments and other organizations to more sustainably source products such as paper, palm oil and beef is “emblematic of the public-private partnerships that are possible to address the interface between agriculture and forests,” Kissinger writes. In addition, governments need to broaden their approach to identifying the root causes of deforestation in their countries and changing the offending policies, Kissinger said. Criminalizing deforestation in 1998 was a start. But old policies still shunted huge amounts of money from the federal government to landholders to clear and make “productive use” of the land (which wasn’t limited to agriculture), particularly in the Brazilian Amazon. The sheer amount of money dwarfed the funding of programs aimed at conserving Amazonian forest and diluted their effects. So Brazil worked with banks and financial institutions to ensure the country’s laws, such as the forest code and a 2006 ban on commercial soy bean production on newly deforested land, are respected. If communities violate these laws, their farmers cannot access credit until they get their deforestation rates under control. “This report demonstrates that policy that decouples economic growth from deforestation and land degradation is the clearest pathway toward an agricultural sector that realizes both sustainable land use and sustainable inclusive economic growth,” said UNEP Executive Director Steiner in the release. It also shows that often-siloed government ministries will have to work together to deal with issues such as climate change, deforestation and feeding their citizens, Kissinger said. 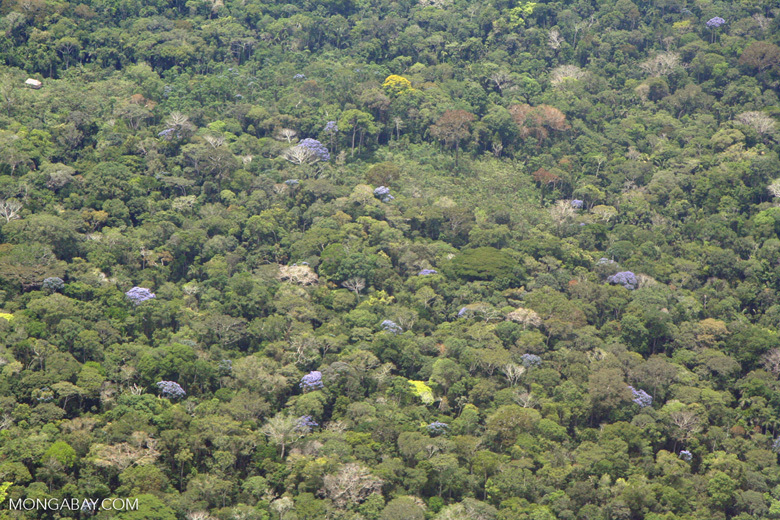 Flowering rainforest canopy in Peru. Photo by Rhett A. Butler.